With the release of The Force Awakens came a slew of Star Wars themed orders and as avid fans of the series we jumped at the chance to create these custom orders! 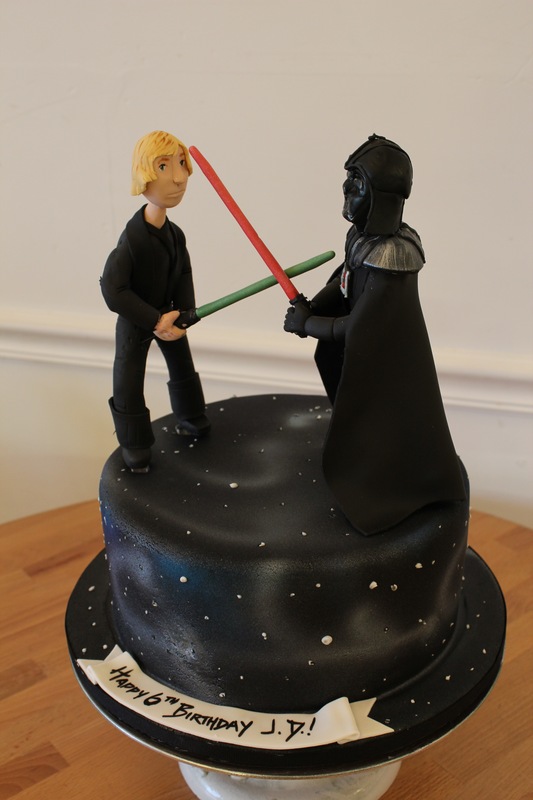 Join the Dark Side….we have cookies! And you can too! 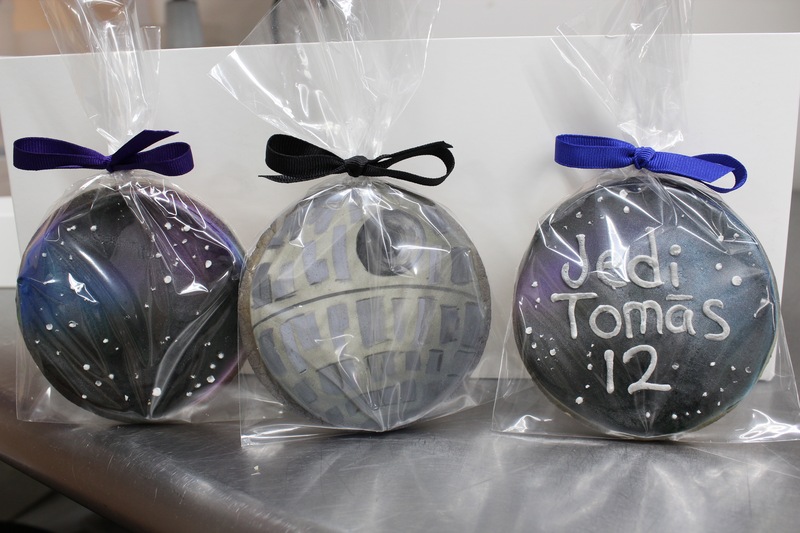 At just $3+ a piece we can turn your favorite flicks into hand painted, individually wrapped cookies. 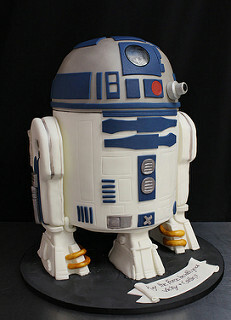 Wow your friends by bringing your choice characters to life on a custom cake! Bring along your faithful companion to any party. Be cautious of this bounty hunter. 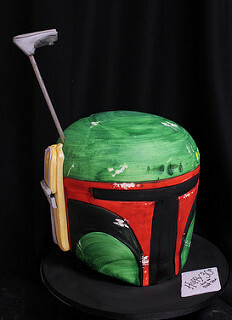 Boba Fett is not to be messed with! 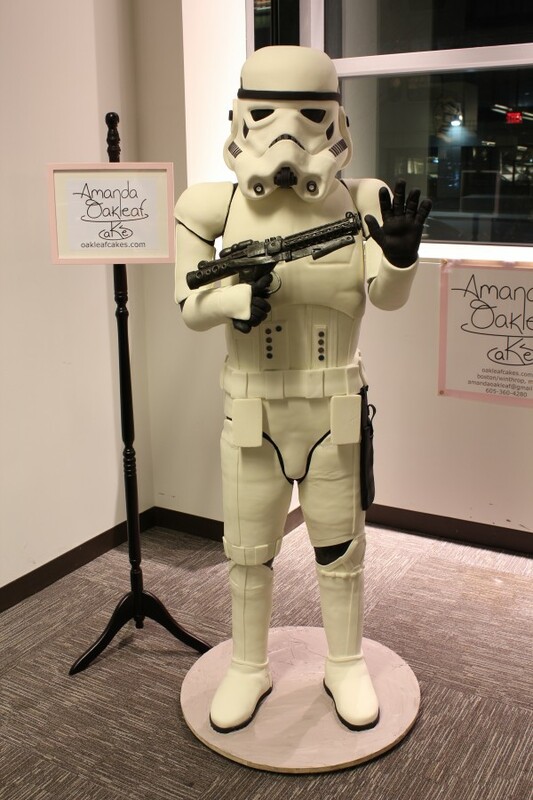 And just a little blast from the past, can’t forget the life sized storm trooper cake we created in 2012!